Don't miss out on recreational opportunities including an outdoor pool and a 24-hour fitness center. Additional amenities at this hotel include complimentary wireless Internet access and a ballroom. First opened in 1925, Redmont Hotel Birmingham, Curio Collection by Hilton, underwent a complete renovation in 2015, embracing state-of-the-art technologies and amenities, while retaining the style and glamour associated with the hotel in the 1920s. Our boutique hotel is within walking distance to the Theatre District where you will discover The Alabama Theatre, The Lyric Theatre, Paramount Restaurant and Bar, and lots of other dining and theatre options.Organize a meeting or plan your dream wedding at this Downtown Birmingham, AL hotel. Our mezzanine level ballrooms provide the perfect setting for a host of events, and our dedicated staff will ensure your function is personalized and professional. Our 24-hour Connectivity Zone is the ideal place to check emails or make updates to your presentation.Energize with the latest cardio and weights technology in the 24-hour fitness center. If you are in need of some pampering, we can organize a massage or facial in the comfort of your guest room. Keen golfers and beginners alike can tee off at the nearby Highlands Golf Course.Our guest rooms offer complimentary WiFi, an ergonomic work area, a 40-inch HDTV, an iHome dock and a Keurig coffee maker. Choose a suite for more space and amenities, or spoil yourself in our sumptuous Presidential Suite. 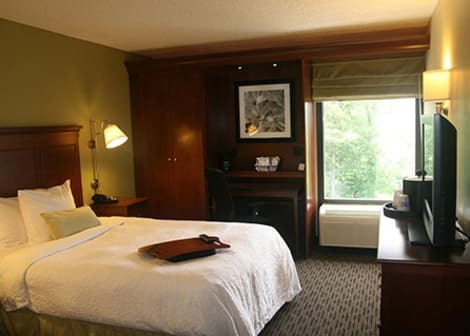 Enjoy a variety of tempting dining options at our hotel in Downtown Birmingham, AL. Grab a panini in our cafe or relax on our rooftop terrace with a cocktail. Our full-service restaurant serves delicious American fare in a stylish setting. Enjoy a meal at the restaurant, or stay in and take advantage of the hotel's room service (during limited hours). Quench your thirst with your favorite drink at the bar/lounge. Continental breakfasts are served on weekdays from 6:30 AM to 11 AM and on weekends from 7 AM to 11:30 AM for a fee. With a stay at Courtyard Birmingham Downtown at UAB, you'll be centrally located in Birmingham, steps from University of Alabama Hospital and 13 minutes by foot from University of Alabama-Birmingham. 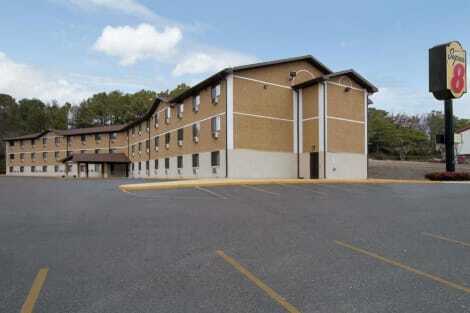 This hotel is 0.7 mi (1.2 km) from Alabama Theater and 1.5 mi (2.4 km) from Birmingham Jefferson Convention Complex. A stay at Hilton Birmingham at UAB places you in the heart of Birmingham, within a 15-minute walk of University of Alabama-Birmingham and University of Alabama Hospital. This 4-star hotel is 1.2 mi (1.9 km) from Alabama Theater and 1.7 mi (2.7 km) from Birmingham Jefferson Convention Complex. lastminute.com has a fantastic range of hotels in Birmingham, with everything from cheap hotels to luxurious five star accommodation available. We like to live up to our last minute name so remember you can book any one of our excellent Birmingham hotels up until midnight and stay the same night.